Strapping a battery to the face of your Smart Cover isn't exactly a teerrrrible idea—it's actually kind of cool—but it's also kind of lazy and half-realized. 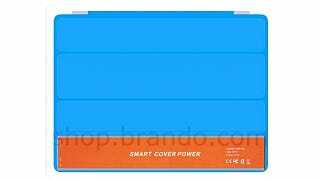 Why not build the battery into the Smart Cover panels? That we'd pay money for.